Happy Hump Day! Feeling much better this week and back in my craft room. Today I want to share this cute Mother's Day card. I loved this image and thought it would make cute and fun card. Took the image and made the edge of the card follow the shape of the card. Then glued the image to the front of the card. The sentiment was printed using the Silhouette. Lol I am sure a lot of moms can relate to this scene. Love how you cropped the edge around the shape of the image. Adorable card!! Love the image and design of your card! What a super cute and fun card!! Love it!! Have a great day. Super fun card and design! 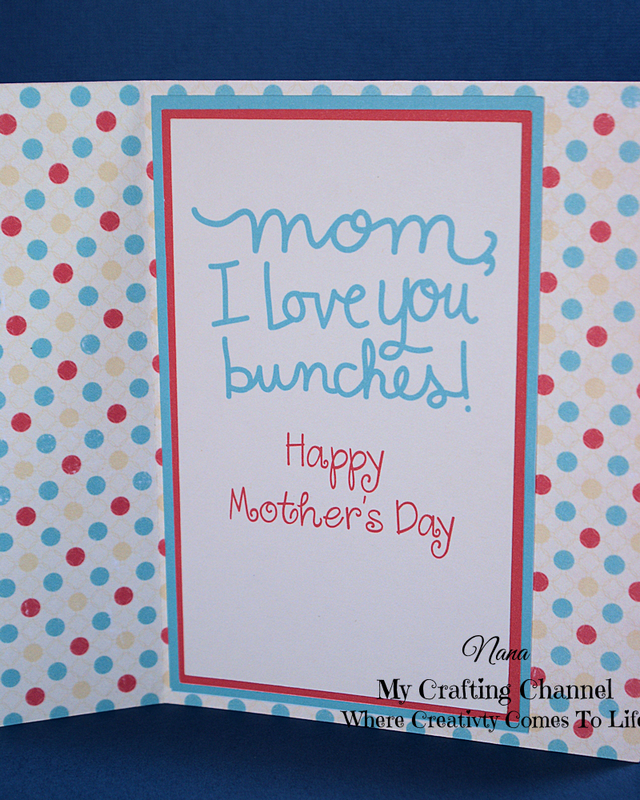 That image is so super cute and I love how you created the edge around the image on your card! She looks pretty frazzled! Very cute card! So DANG CUTE! Fun Card! I absolutely ADORE the super cute image! !Totally cute!! Happy to hear that you are feeling better my friend!! FAB card!!! And how true is that scene? This is oh so fun! hehe that is one cute image - love it! Oh my...this one takes me back many years ago when I had two little ones underfoot! This is just cute as can be!